EDIT: This costume is already complete and won a best individual craftsmanship award. Alright! 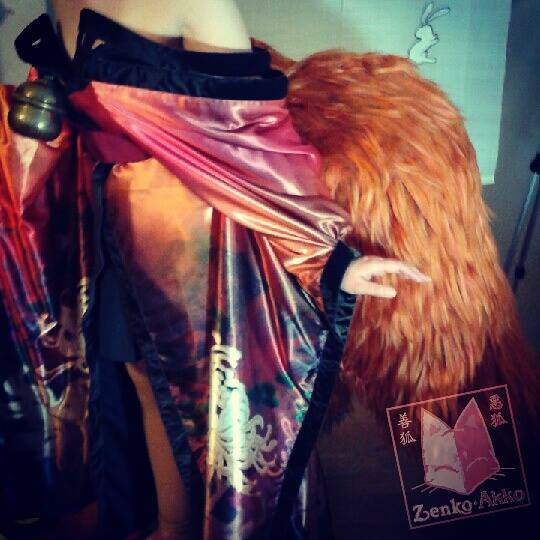 Zenko’s 90% done with her Miko cosplay from No Game No Life. So far, she’s approaching 350 hours spent on this. The tails are painstakingly made by hand – she had to make the fur. They are fully collapsible and have great movement. Not long to go until Anime California! If you want to see more about this project, visit our Instagram or our Facebook page! Thank you! I’m behind on these 😦 I’ll try to get to them after the convention!